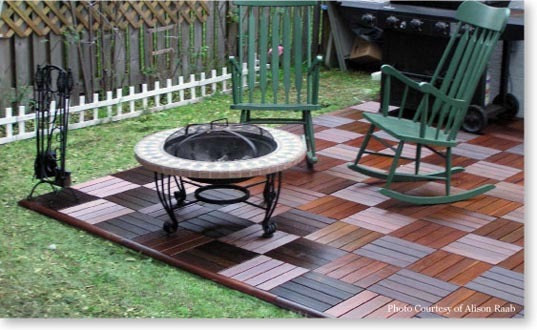 DIYPatioDeck.com is an unmatched do-it-yourself decking supply shop. We offer two quality brands Deck 'n Go and Multi-Snap Tiles - both feature revolutionary snap together tiles for quick and easy installation. Our selection is vast with Fir wood, premium plantation Teak, Ipe Hardwood, two types of Eucalyptus, Merbau as well as porcelain and slate. For the eco-friendly enthusiast we offer composite wood tiles which are partially made from recycled materials. Whether you are looking for interior flooring or exterior decking, we've got you covered! 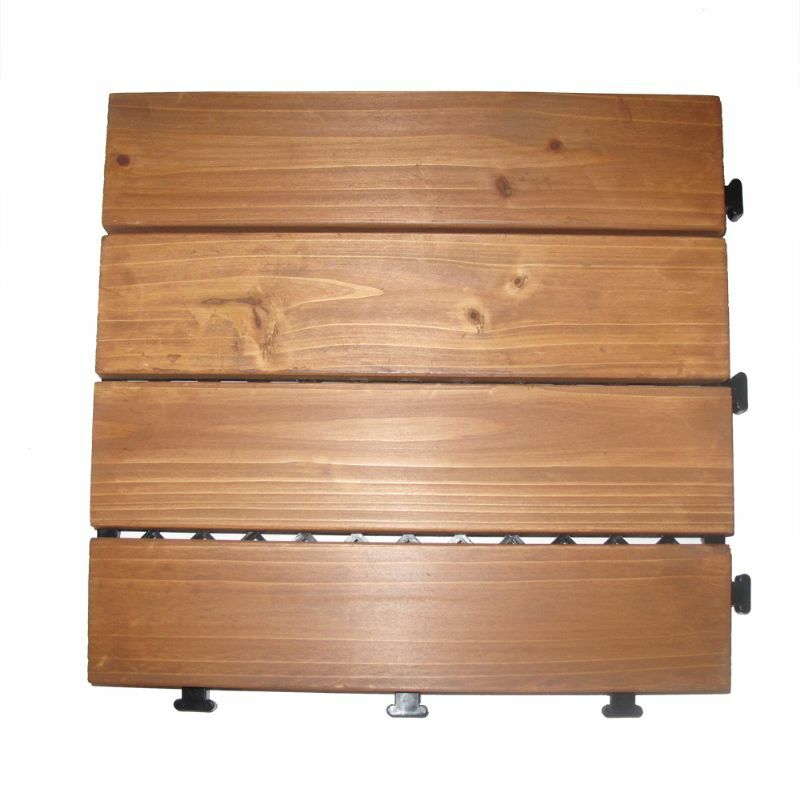 Our customer favorite Deck 'n Go product line encompasses Merbau, Fir, and two color varieties of composite wood decking tiles. These 12 x 12 interlocking square tiles help the DIY homeowner create the patio, walkway or decking area that they've always dreamed of. Our composite wood tiles are the best in quality, durability and design all found in a low-maintenance solution. In addition to the premium tiles, Deck 'n Go created the Edge-Perfect system with exact match edging and corners. Edge-Perfect creates the finishing touch because it secures the tiles in place creating an overall complete look to your patio in just a matter of minutes. When used along with Deck 'n Go's Merbau, Fir and Composite tiles, Edge-Perfect strips and corners fit perfectly in size, color and wood pattern. As an alternative, DIYPatioDeck.com offers Multi-Snap Tiles line which has a wide array of (both interior and exterior) tiling options. Styles are available in four, six, eight, twelve slat and/or diagonal, straight or plank designs. Also, for the upscale elegance you seek our top quality Multi-Snap porcelain and slate tiles are beautiful additions to enhance any home. Here at DIYPatioDeck.com we understand that do-it-yourselfers are looking for the best value and most convenient installation. As a result we have seven day-a-week tech support to help you with questions or installation assistance. If you intend on installing your tiles outside of our normal business hours, just call and we will seek to have one of our technicians available. However, as our installation videos illustrate, our tiles just snap together and before you know it, you'll have a new titled area in a matter of hours!